What are the standard sizes for your whelping boxes / weaning pens? What size whelping box/pen is recommended for my breed? How much do you charge for a custom-made whelping box? What are Warwick whelping boxes made of? How high are the puppy rails (pig rails) from the floor? How high is the door opening off the floor? What cleaners can be used? How is the Warwick whelping box assembled? We often get asked for the right sized whelping box for the breed of dog, so we have put together a guide which we hope will assist in helping you decide. Size is a very important decision, so if you need any further advice, then please contact us. These sizes are for guidance purposes only, as no two dogs are the same, and we cannot be responsible for incorrect ordering. If any doubt, please ask. We are always happy to help! 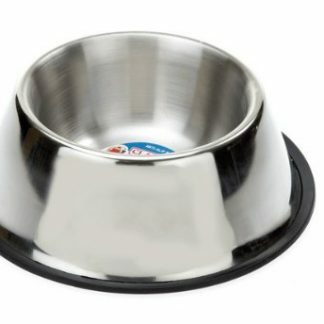 We also manufacture bespoke sizes, so if you’re unable to find a box you feel is suitable for your pet, then please e-mail us or telephone us and we’ll be more than happy to help. 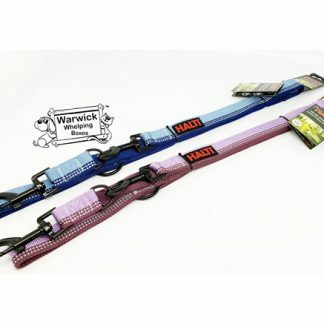 Small Size is suited for small breeds or cats. The ideal whelping box would have a pet heat pad which is half the size of the base. So this small should be used with All our Small to Medium Sized Whelping Boxes. The Medium Pet Heat Pad is suited to cats an medium dogs, or several smaller breeds. Our Medium Pet Heat Pad is a perfect fit for our Large Size whelping boxes. Our Large size Pet Heat Pad is the largest pet heat pad available in the UK, most giant breeds have never been able to feel the full benefit of pet heat pads as they are just simply too big! this is perfect in our Extra Large and Extra Extra Large Whelping Boxes. This pet heat pad is truly a large size and a large litter of puppies would benefit significantly from this. If you are un-sure what size pet heat pad to purchase please give us a ring or your welcome to pop in and discuss your options. Your whelping boxes look really good, but how much do they cost? 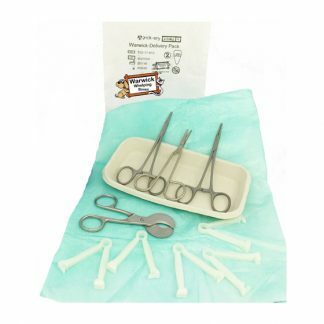 All our whelping boxes are available in standard sizes to order, however Please e-mail us info@warwickwhelpingboxes.co.uk or phone us 0191 5488777 with your requirements, and we can then give you an accurate price, for a box to suit your exact needs. If you e-mail us or call us with details of your design, including the overall dimensions, then we’ll be able to provide you with a prompt and accurate quote. All whelping boxes / weaning pens are made from high quality PVC. Easily cleaned. We do not recommend using news paper, as the print may transfer to the box which will not come off. Also newspaper ink may be harmful to puppies. This is our own personal recommendation. Also note altho our whelping boxes are highly durable they are not chewproof. The Puppy Rails are used as a safety device, these can save lifes to stop mum rolling on the newborn puppies. Supervision is highly recommend and to determinded when the rails are to be removed. We find this from our own experience to be around 7 days. All breeds are different and grow at different rates. Internal dimensions are usually 20mm less than the overall sizes, due to the thickness of the walls. Although on Ultimate whelping boxes they’re 32mm less, as the walls on this model are even thicker than on our other boxes. If you opt for puppy rails, then the living space is reduced by a further 6” (150mm). The rails themselves are 22mm in diameter, with the exception of the Ultimate. On most of our whelping boxes, the PVC sections we use for the walls are 10mm thick. However, our Ultimate whelping box features even thicker walls, which are 16mm. The whelping box can be cleaned with most products: detergent, please make sure you use cleaners which are safe for animals. Why not visit our Disinfectant / Cleaning section where we have a full range of cleaners which are safe for all animals. We do not recommend newspaper due to the print transfering to the whelping box when wet, but should you wish to use newspaper we suggest using a good quality upvc cream cleaner for any stubborn stains. No tools are required. The bottom section is in one piece with no joins. The wall sections just slot into place on top of the base. If you’ve opted for them, you should then insert the puppy rails. Two of the rails go directly through the walls and the other one fits between them. If you’ve ordered a roofed model, then the roof locates on top of the walls very easily. And that’s it! The Ultimate Whelping Boxes come pre-built shipped on pallets. To order, it’s essential that you read our Terms and Conditions first, then simply either order online or should you prefer to call us and order over the telephone please call 0191 5488777, or of course your welcome to come into the shop and discuss your options over a free coffee. We accept most payment methods, Credit and Debit cards, also including BACS (please contact us for BACS details. Most boxes are manufactured and sent out within 7 – 10 working days. Bespoke boxes usually take 14-20 working days.